This groom loved to play golf so his cake has a golf theme. 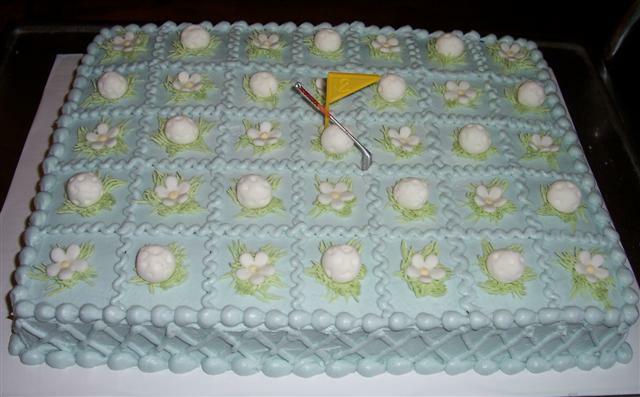 I divided the sheet cake into squares and made fondant golf balls along with a few flowers for each square. The flag and club are purchased items.